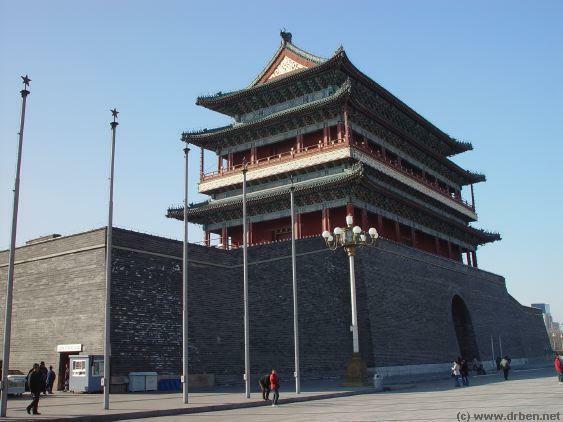 The ZhengYangMen Gate was located on the Central City Axis in the center of the Southern City Wall. 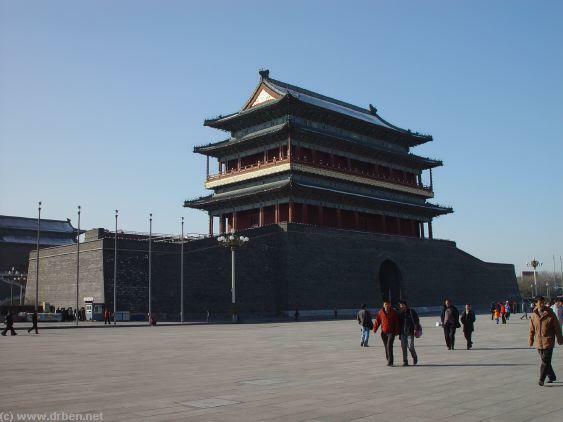 Together with QianMen it combined to form the Front Gate of the Imperial Capital City during the Ming Dynasty and successive Ching Dynasty. 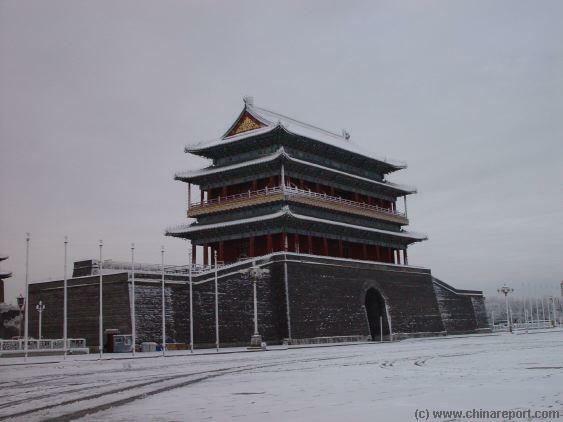 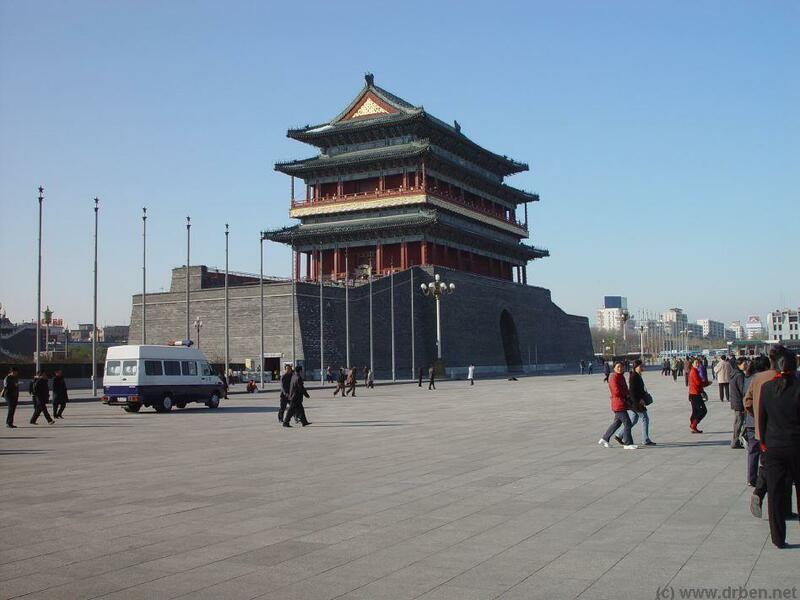 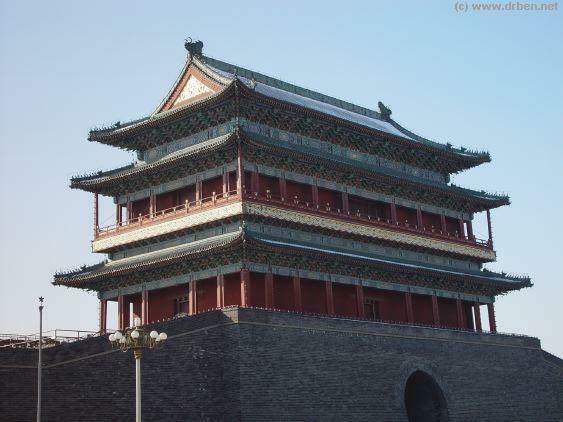 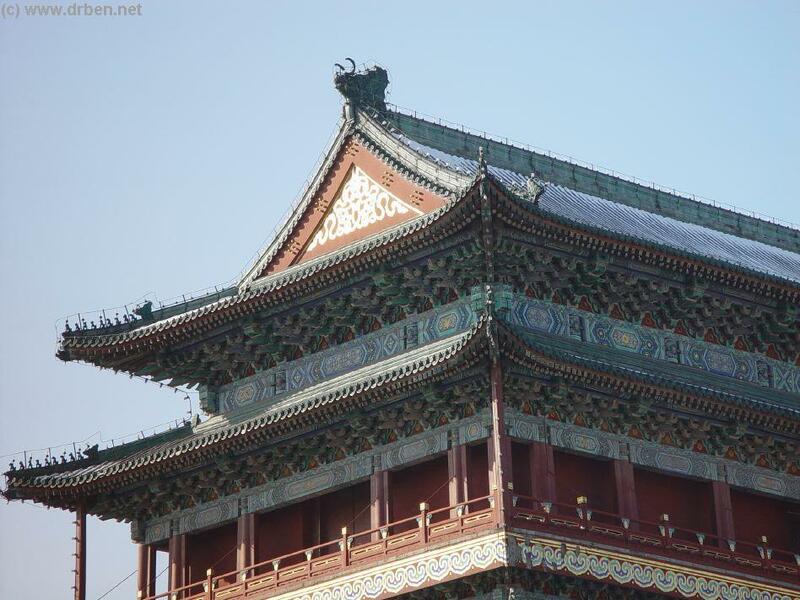 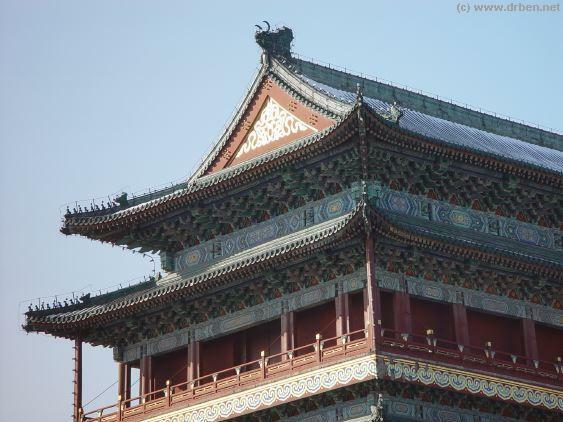 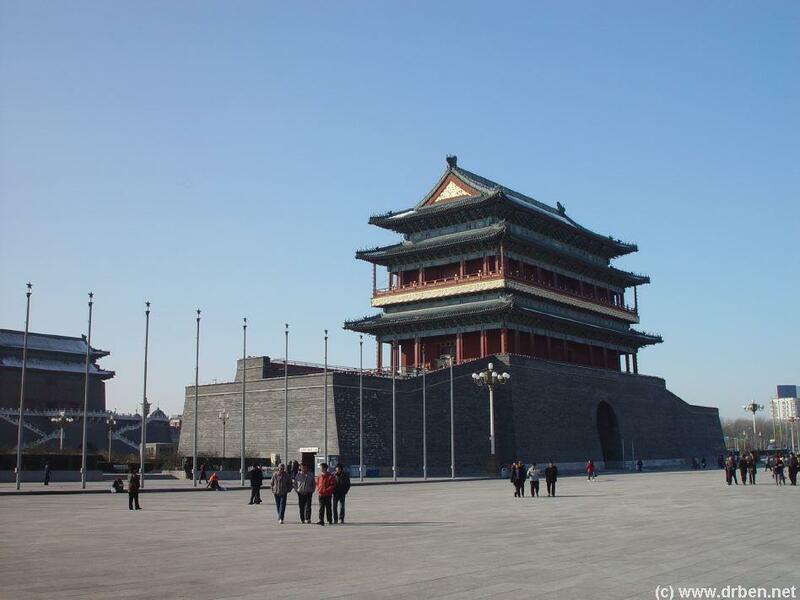 First constructed in the 1419 AD, the 17 Year of the Reign of the Yongle Emperor of the Ming Dynasty, ZhengyangMen formed the Arrow Tower connected to the Front Gate, a structure much larger than the other City Gates found in the East, West and North. 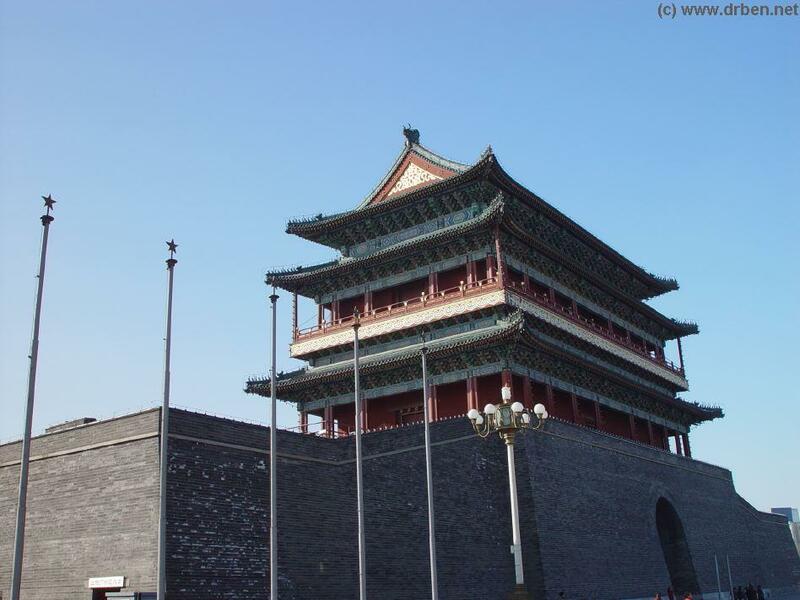 With it's long history the impressive Gate has been damaged or destroyed several times. Important in function as the main front Gate it has always been rebuilt. launched against the Chinese Capital and Imperial Palace at Beijing. 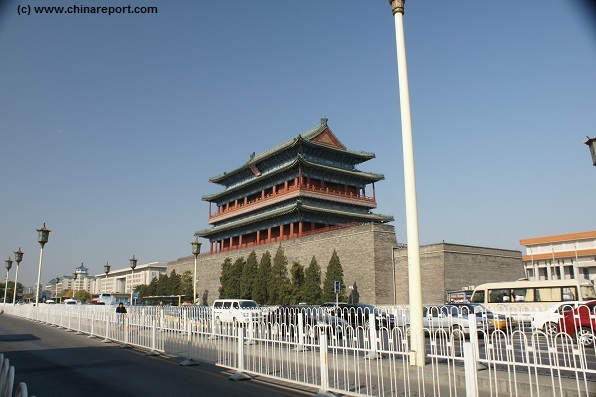 In the process of attacking Beijing the Front Gate was mainly besieged and attacked by eager American Forces trying to be the first to Liberate the so-called "Legation Quarter". The Front Gate and it's Inner ZhengyangMen with it's Dangerous Arrow Tower were destroyed by Cannon Fire. 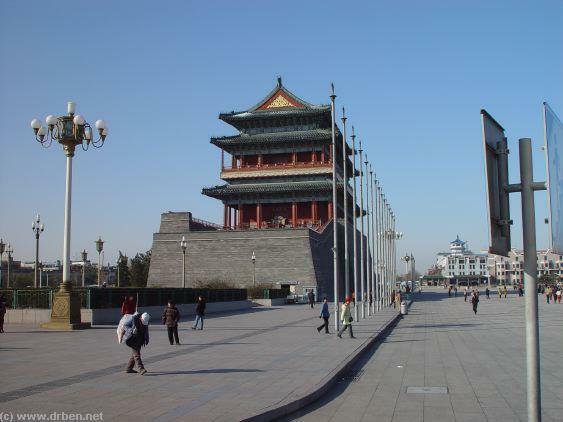 Other gates, attacked by Italian and other forces underwent a similar Fate. 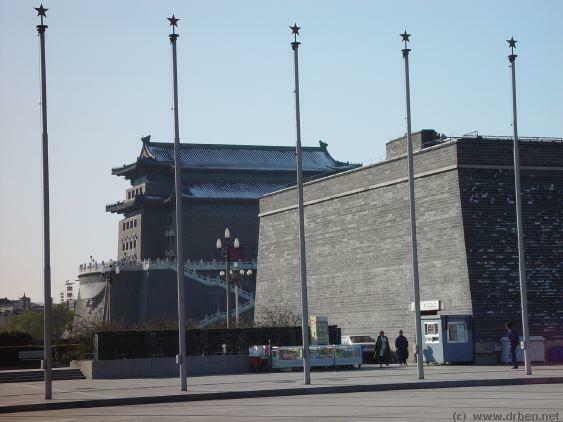 In 1906 AD reconstruction of the Front Gate began, remodeling the ZhengYangMen after the much smaller City Gates at XuanwuMen and ChongwenMen (both are now destroyed). 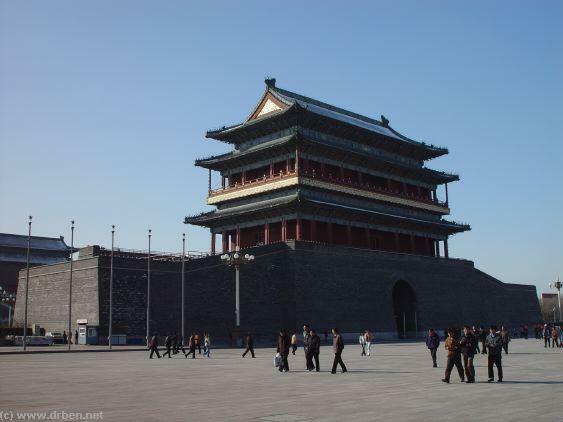 Eversince the ZhengYangMen stands at an impressive 40.36 meters high and 41 meters width. 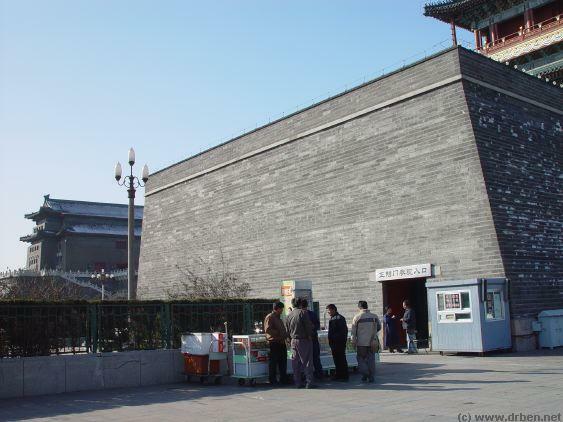 The depth of the Gate is 21 meters. 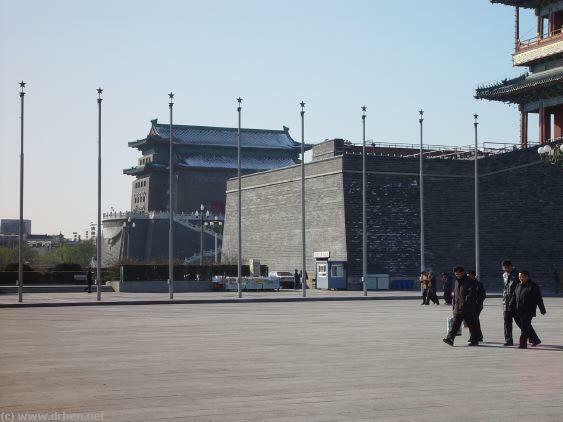 ZhengYangMen Gate is an official cultural relic under City and State Protection. 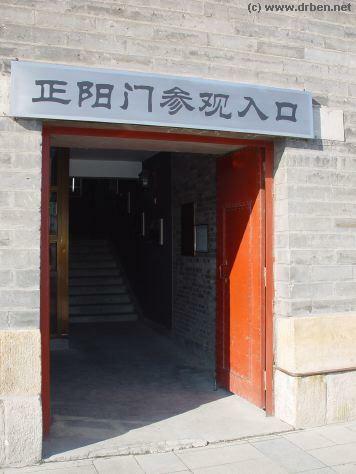 It has been converted into a Museum with many historic Photos and models of the Imperial Gates and City Wall Defenses. 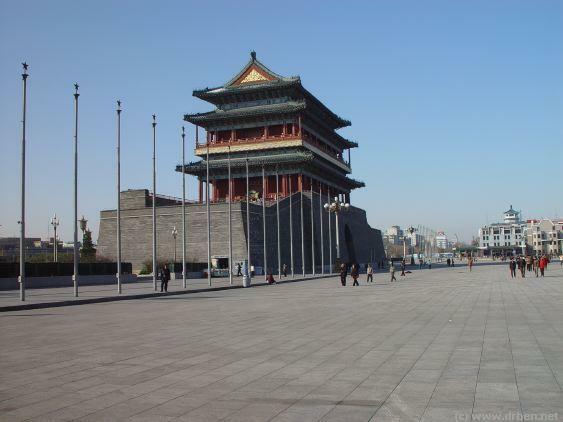 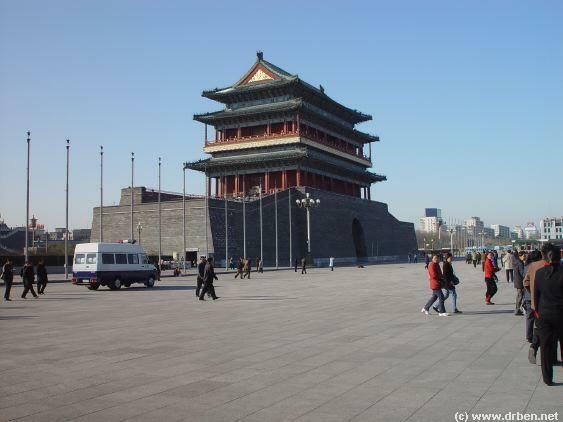 At most days the Gate Platform offers a grand view of Mao Mausoleum and the pittoresque TiananMen Square with it's many milling visitors.